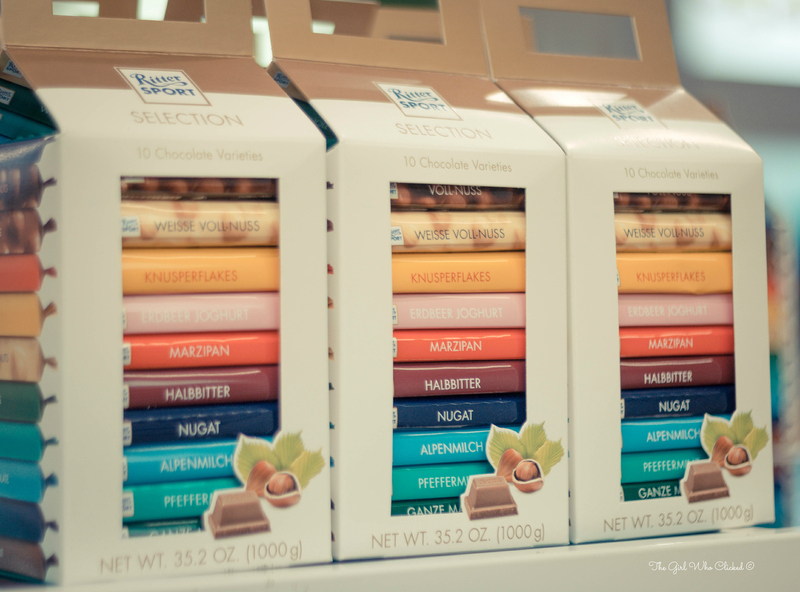 Today I went to one of my favorite places to visit in Germany, the Ritter Sport Chocolate Factory! 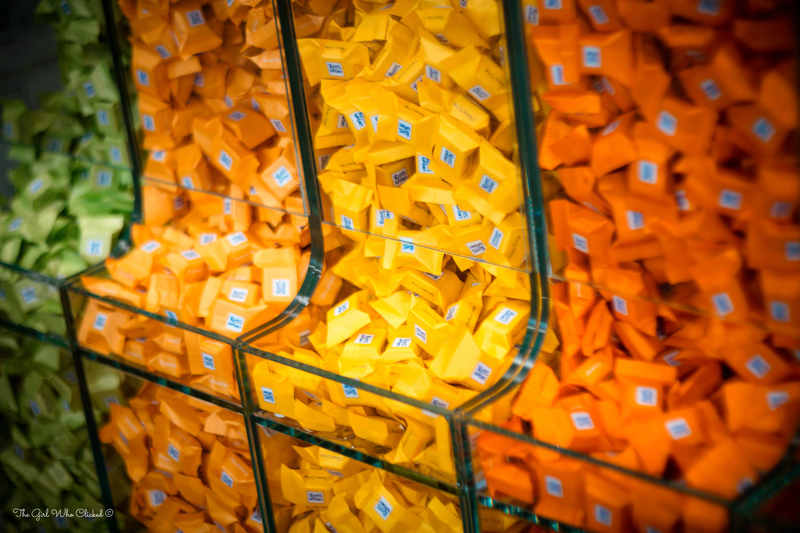 Ritter Sport is a well known brand of German chocolate that dates back to the early 1900’s. 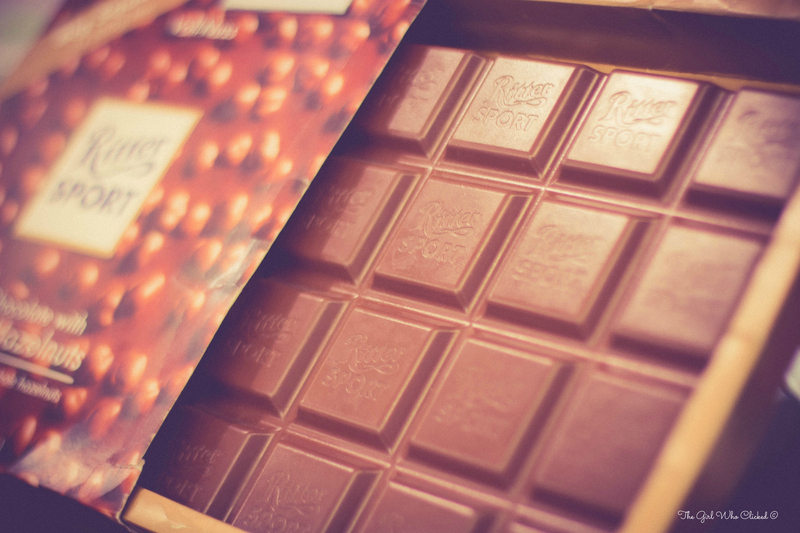 Traditionally, the package is a 100 gram square that is filled with pure chocolate goodness! 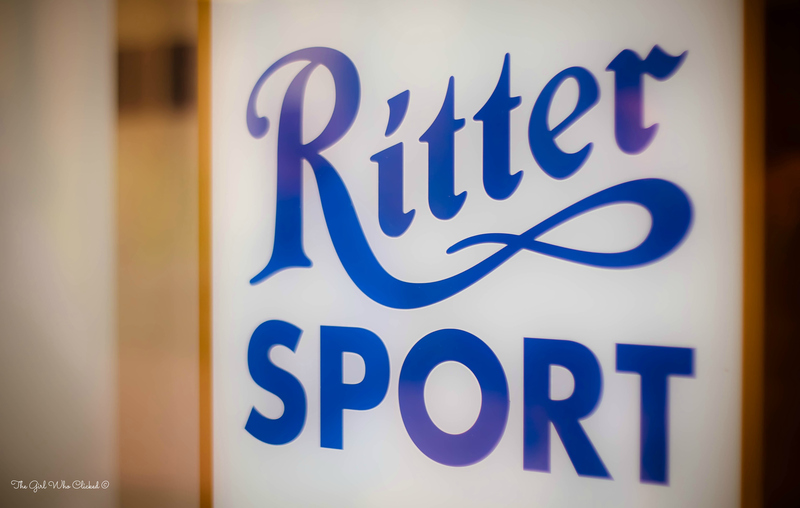 According to the history I read about the company, Clare Ritter thought that the 100 gram square was the perfect size to fit into every jacket without breaking and also remain the same amount as the traditional long chocolate bars. 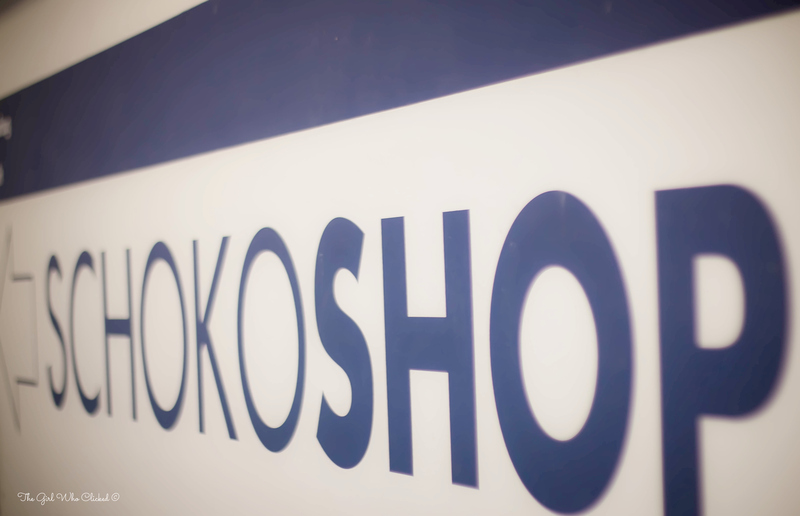 On some days when you visit the factory, you can smell the freshness of chocolate in the air. 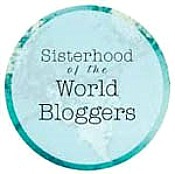 Onsite, there is a chocolate museum and a cafe. However, my husband and I normally head straight for the good stuff in the chocolate shop. 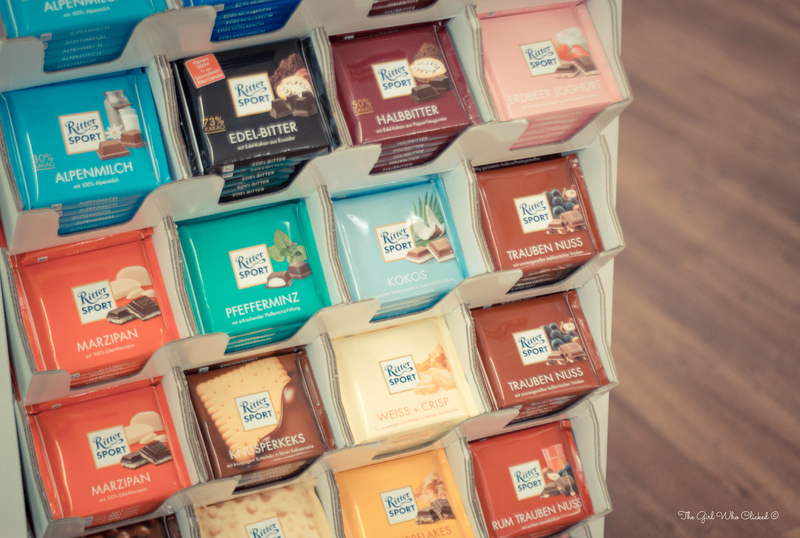 The nice thing about Ritter Sport is the variety. 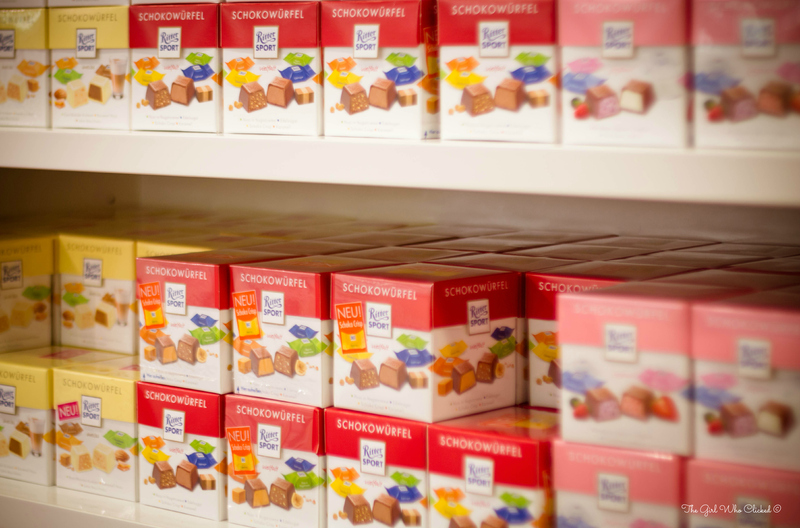 In the shop, you will find every flavor imaginable. 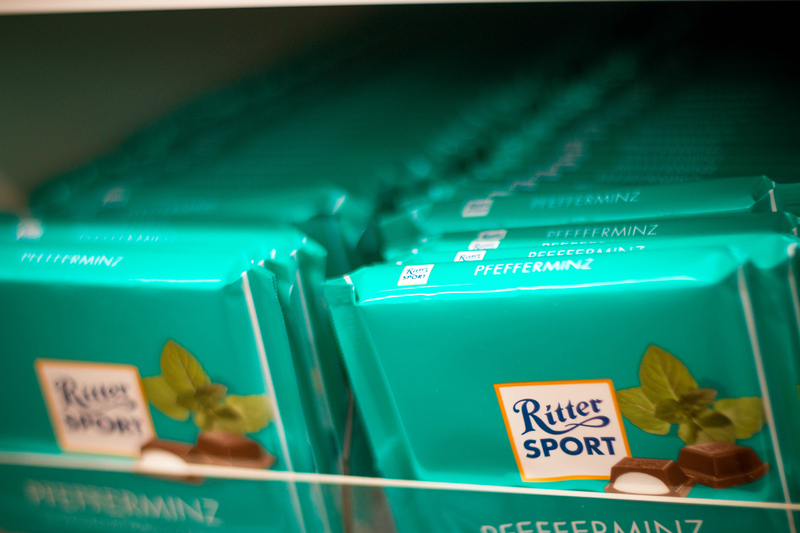 My personal favorite…Pfefferminz (chocolate and peppermint)! 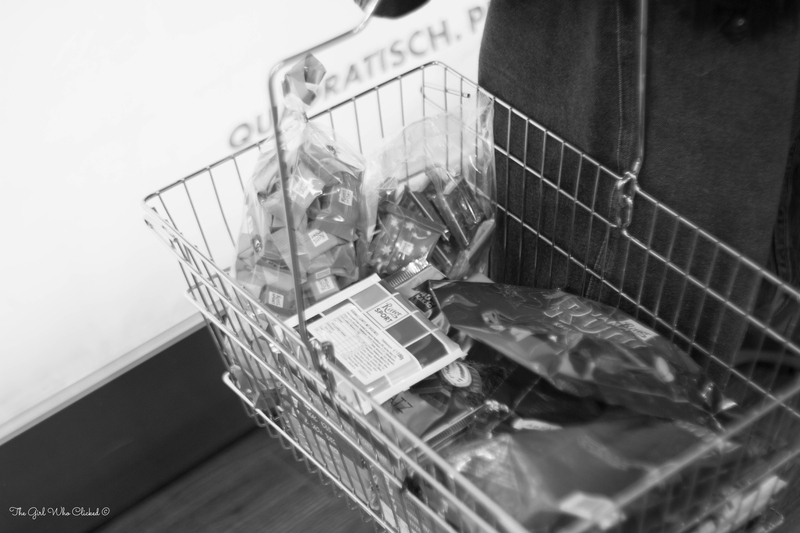 Sadly, our visit ended too soon, but I know that we’ll return later in the year to buy chocolate for our families during the holiday season.